Some weeks ago you may recall that I had Damon Linker, a liberal columnist for The Week, as a podcast guest, and this week I have on another of my favorite liberal thinkers, Steven Teles of Johns Hopkins University. Prof. Teles stands out from many liberals in part because he did his Ph.D work with a group of distinguished conservative professors at the University of Virginia, and would that more liberals had a sustained encounter with serious conservative thinkers. 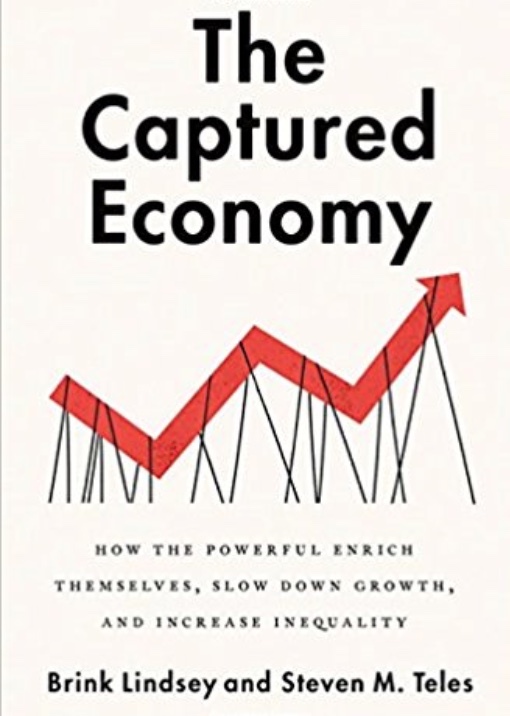 In addition to his fine book The Rise of the Conservative Legal Movement, his most recent book (co-authored with Brink Lindsay) The Captured Economy: How the Powerful Enrich Themselves, Slow Don Growth, and Increase Inequality strikes a number of themes that many conservatives share. We also talk about liberalism versus progressivism, conservatism, the problems of higher education today, the virtues of Hayek (Teles is another of those rare liberal admirers of Hayek), and even the defects of John Rawls. Fair warning: some of this conversation is more suited to our academic and intellectual readers, but it’s sufficiently fast-moving that I think most people will enjoy it. As usual, you can download it below or from Ricochet, and please, please, subscribe to Power Line in iTunes (and leave a 5-star review). If you leave more reviews, it helps build our listenership, and attract more ads beyond our great current sponsor Mancrates.